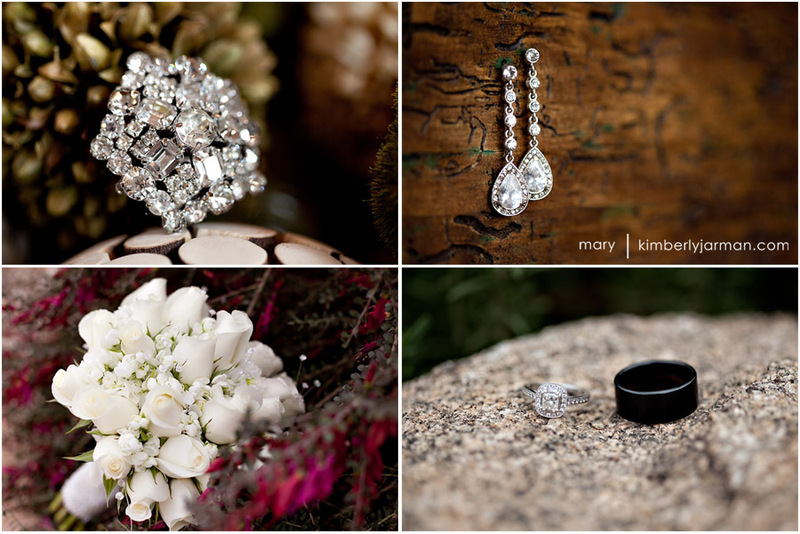 The Kimberly Jarman Photography Studio specializes in Portrait and Wedding Photography. We are located in the historic district of Downtown Mesa, but are willing to travel all over the world. We have been photographing Weddings and Portraits for over 13 years and have won numerous awards for our photography. We love weddings, as well as we love working with High School Seniors, Families, Models for fashion photography, and fitness style shoots, as well as many other types of photography. Kimberly Jarman's images have been featured in Arizona Weddings Magazine, Arizona Bride Magazine, The Wedding Chronicle, Phoenix Bride and Groom, Destination I Do, Haute Living Magazine, June Bug Weddings, Elizabeth Anne Designs, and several industry blog sites. We'd love to keep you updated on the newest and greatest!! We send out announcement, specials, and news every month!! I got a call from Lana a few months ago. I always love hearing from her as she did the makeup for my wedding, I photographed her oldest daughters wedding, and she is my Beauti Control representative whenever I run out of makeup or face wash!! So, it’s fun to see how things are going when she calls. This time she had some fun news for me… her youngest daughter was getting married and they wanted me to photograph it! I love getting these calls because it’s really fun to photograph multiple family members’ weddings. I feel like family and have a lot of fun! When I met Megan and Ryan for their engagement session we had a blast. Megan is gorgeous and Ryan is a cool guy. Their pictures were great and I was totally stoked (yes, I just said stoked) for their wedding. The venue was something Megan was really excited about. They had found a gold pot!! 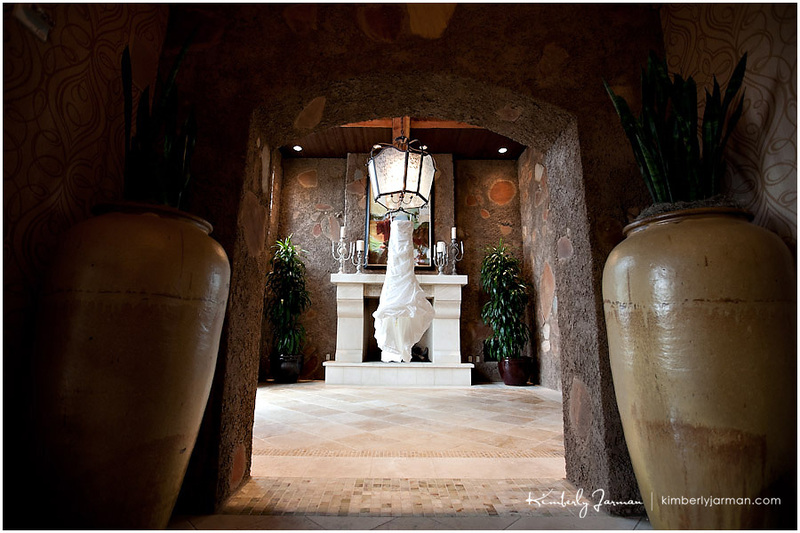 A new venue for weddings and gorgeous, Encanterra Golf Club out in Queen Creek. She was excited about the architecture and all the gorgeous areas to take pictures. So of course we set a lot of time for pictures to make sure we captured it all!! The day before the wedding I was driving back from a conference out in California with my girls Briana and KB. We had had a wonderful time and were talking about the upcoming wedding. Suddenly Briana said, um… Kim…. just so you know there is a 70% chance of rain tomorrow….. WHAT??? I stayed calm and I know my track record, I can count on one hand the number of times it’s rained on me on a wedding day and most of the time it all clears up when it’s time to do portraits. I prayed a little prayer and said, we’ll be just fine!! Saturday was windy. It was Cloudy. It was cold. However, when we pulled up to Encanterra it still wasn’t raining. That was a good sign. We found the golf resort, which is literally far away in Queen Creek and very hidden. When they opened the gates for me my breath was taken aback. It was like we had entered into a new world… it was pretty amazing. I was totally stoked to take pictures here. Green rolling grass, the club house in the background. It was going to be amazing. Then we saw the first sign of danger…. something hit my car and then another one and suddenly everywhere we saw tumbleweeds flying at us fast and furious. They were everywhere and not just sauntering around, but coming full force. We opened the door to see how windy it was and we were blown away. It was insane. We decided that being out in the gorgeous open was not going to cut it unless Megan was daring. We went and scouted around and found some gorgeous locations that weren’t windy and would be great. We then talked to Megan and she said she was down for ANYTHING… so we had hope. About the time we were going to take portraits things changed again, it started pouring. Down pour. Not really a great sign when you are very limited in your indoor space and have a bride that really shouldn’t get soaked before the ceremony. Everyone was bummed, but Megan and Ryan took it all in stride and went with it. We hunted around for some great locations that were covered and got some great portraits. Unfortunately we weren’t able to utilize all that Encanterra had to offer, which was such a huge bummer, but the day went great and with some creative thinking i’m very happy with how the pictures turned out and the whole day. Megan and Ryan’s family were such troopers and I was so blessed to be a part of this day. It goes to show that as long as the Bride and Groom have a great attitude about everything, things will turn out amazing! The wonderful vendors that helped make this day as special and beautiful as it was! Mary got some great details!! Megan had 2 different shoes to wear. LOVED both. This cutie pie is Heather, the brides sister and whose wedding I photographed, little girl. She was so cute!! Love this one Mary got too! I don’t know if this little girl was part of the wedding but it was so cute. She was enamored by watching Ryan and Megan. We went back and forth on where to do the ceremony. At first it was outside, but when it rained they talked about moving it into the ball room. I convinced them to do it on the patio outside and it was beautiful… a little cramped, but beautiful. The Gloor Family. I shot their wedding in 2004. They were one of my first!!! Look at their gorgeous family!! I really love first dances! So this is one of the best pictures ever because of the story. Heather, Megan’s sister, came running into the reception room and told me that some guy had just pulled up to the front in a Uhaul, jumped out, and was being chased by the cops. He ran into the lake and tried to swim away, but was caught. WHAT? Wow, right in front of the reception hall. Who would have thought. So of course we had to get a picture on the cop car, with the Uhaul and everything! What a great wedding! Thanks to everyone! Leaving this post with a cute picture of Mary and Me!! I love my team! mary - Love the umbrella shot! So fun to see one of your first weddings back in 04 and here you are now still going strong!